Traditionally, the mantra has been: ‘If you want leadership, look for a leader’. 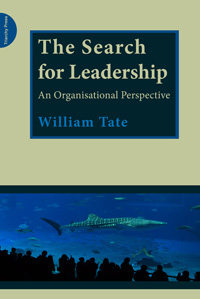 Bill Tate’s response is: ‘Look inside the organisation first to find out what is happening’. Although there’s been a long-running debate about whether leadership can be taught, most people would say we know good leadership when we see it. Well, it turns out we were wrong. Although it is now generally accepted that leadership is not tied to elites or authority, it is still often associated with a senior management position and hierarchical thinking. Bill reminds us that most leaders spend only a little of their time leading and that leadership can be a vital aspect of people’s jobs anywhere in the organisation. Even spreading the job of leadership around more widely, still leaves the focus of leadership on individuals. When an organisation identifies a need for ‘stronger leadership’, the first thing to emerge is always an agenda for developing people. Drawing on his long experience, first as head of HR Strategy at British Airways and then as a consultant, Bill shows how the usual defective thinking about leadership and people has infected the way organisations think about improving leadership. The discussion, he says, typically starts with ‘Let’s have a leadership development programme’. Instead, it needs to begin with a process of questioning the organisation’s needs and goals. Conventional thinking means that leadership can safely be left for individual managers to sort out and for HR to develop. Collapsing the leadership agenda into personal development is where the quest for improved leadership in organisations starts to go wrong. Bill invites us to shift from a ‘development’ to an ‘improvement’ perspective. Asking the question ‘How can we improve leadership in this organisation?’ opens the door to a wider variety of interventions and a wider range of targets for improvement action. The word ‘organisation’ glosses over an important distinction between the business and the organisation. The business is essentially outwardly focused and profit driven. A company’s business model answers the question ‘How will this company make money out of what it is doing?’. By contrast, the organisation is the set of internal arrangements at the service of the business. Bill insists that a clear distinction must be made between the two before leadership can be properly considered. If the business is to receive the leadership it needs, the organisation has to provide more than a context. Bill asks us to see the organisation not as a passive vessel waiting to have leadership poured into it but as an active player that has to contribute to leadership if it is to receive its due from managers. The connection between leadership and its host is symbiotic, with the organisation proving a vital partner both to leadership and improvement, and to making use of leadership action delivered by managers.